Gorilla cage and gorilla clip are another fine products designed by Free Parable team group. 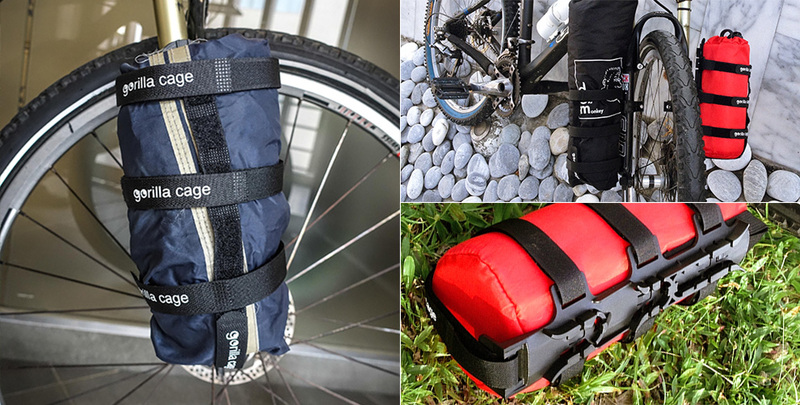 The gorilla cage is a larger and stronger Monkii cage, which can carry your sleeping bag/mat, light weighted tent or anything you can roll up on your bike packing journey. 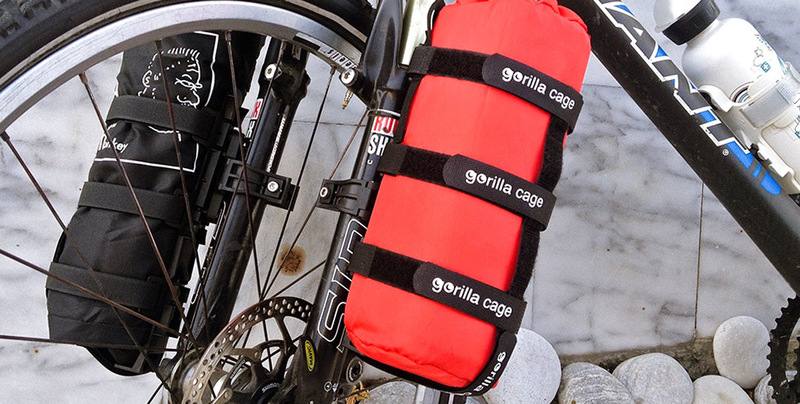 The gorilla cage can be attached and detached to your bicycle easily and quickly. In addition, with the gorilla clip, it can enable you to securely mount a gorilla cage almost anywhere on your bike. The gorilla clip has a universal contact shape to fit most forks/tubes using cable-ties and rubber pads for a strong fixing. Easy to install / remove / reinstall using standard cable-ties. The gorilla cage and gorilla Clip can be used for bike packing, adventure cycling, touring, trekking or whatever you want.